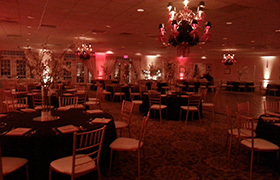 Up lighting is a fantastic way to give your event the one of a kind look! With virtually any color to choose from, the choices and possibilities are endless. We only use LED lights, which emit viturally no heat. 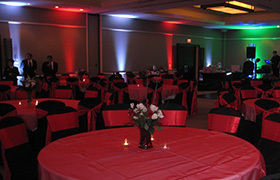 We have different types of LED lights to give your event a unique dynamic feel. 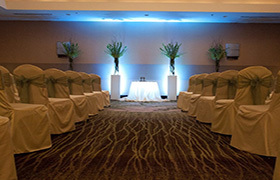 Up lighting can be used for all types of events from weddings to corporate events. 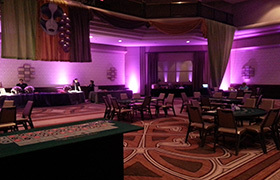 For some eye popping effects you can add color fading and/or color mixing for an additional $199.00 on any package. Any additional lights requested is $35 per light.